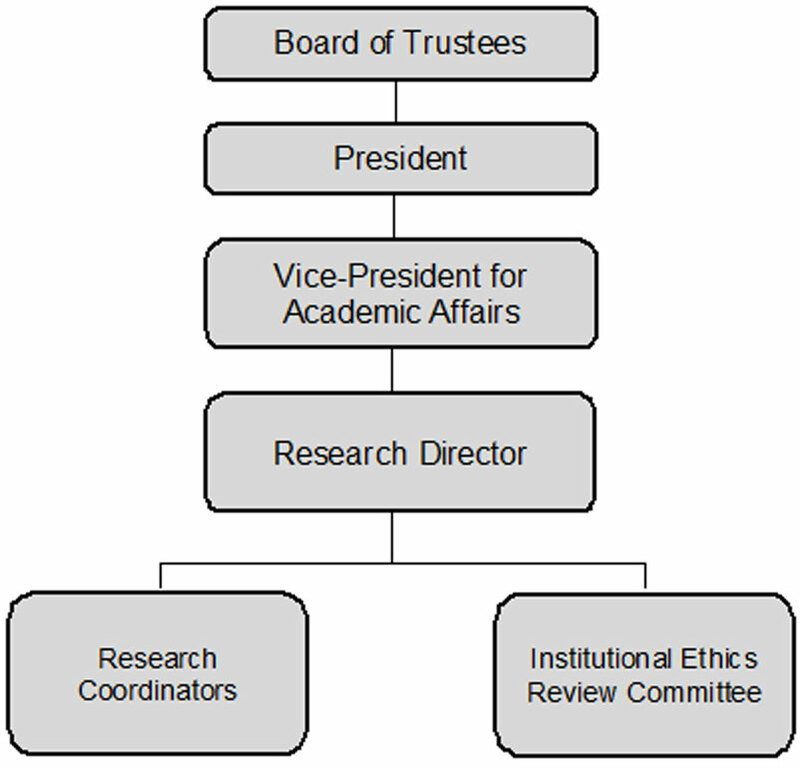 Having envisioned the adoption of a research culture during its strategic planning, the administration of Velez College established its Research Office in 2014.Being an institution committed to academic excellence, the creation of the office is the greatest evidence of the college’s response to recent changes in the country’s educational landscape. One of these changes is the importance given to research, which had profoundly translated into implications for policy development in the regulation of higher education institutions (HEIs) – a vital factor in the decision of putting up the Research Office of Velez College. 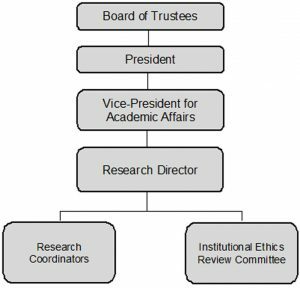 The Research Office shall create a realistic and functional research program to establish and maintain a highly visible research tradition in the college. Promote activities that develop faculty and student capability to appreciate and engage in research and to increase research productivity in the college. Produce high-impact and quality student and faculty researches, relevant to the discipline and responsive to the needs of the college, the community and the nation. Present generated researches in local, national and international conferences or symposia. Publish research outputs in local, national and international peer-reviewed or refereed journals. Letter of intent addressed to the VPAA ( Nona A. Velez, RN, MN) through the Research Director (Dr. Johnny J. Yao Jr.). The letter should be duly noted by the proponent’s Dean and by his/her respective research coordinator. Duly-filled up Application form which could be obtained from the respective Research Coordinator of the proponent’s college. Five (5) copies of the protocol of the proposed research project. After approval is granted by the VPAA, the Research Office shall notify the proponents on the approval of their proposed research project and notify them of the date of signing of the Memorandum of Agreement. Applications for institutional research shall be accepted by the Research Committee on the following inclusive dates: (1) January to May for proposed research projects that will start implementation in the 1st semester. (2) June to October for proposed research projects that will start implementation in the 2nd semester. After submission of the complete set of documents, the Research Committee shall then conduct a preliminary evaluation of the written protocol. Research proponents of accepted research proposals shall likewise be notified of the acceptance of their protocols and schedule of their proposal presentation. After the proponents have presented their proposal, the Research Committee shall then give their comments and suggestions to enhance the research protocol. The proponents shall make revisions to the protocol incorporating the Committee’s suggestions. 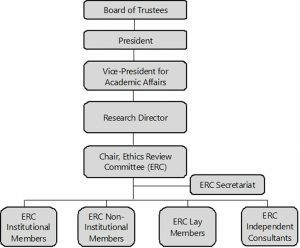 After compliance with the revisions has been checked, the Research Office endorses the protocol for ethical review. Incentives shall be given to encourage academic personnel to conduct researches. The researcher/s is/are compensated in terms of a de-loading or an over-loading scheme which is equivalent to the number of units allocated to the approved research project. The proponent/s shall receive technical assistance from the Research Office by way of capability building, project management, monitoring, evaluation & if necessary, referral. An institutionally-approved research shall be given financial support in the form of a research subsidy. Institutionally-approved researches shall be credited for ranking and promotion. Those who present their research outputs (either oral or poster presentation) in local, national or international research conventions/symposia and those who wish to publish their research outputs in reputable peer-reviewed journals may request for financial assistance in the payment of their conference or registration fees. Proponents of research projects that have been published in peer-reviewed or refereed journals shall be given due recognition by the school. 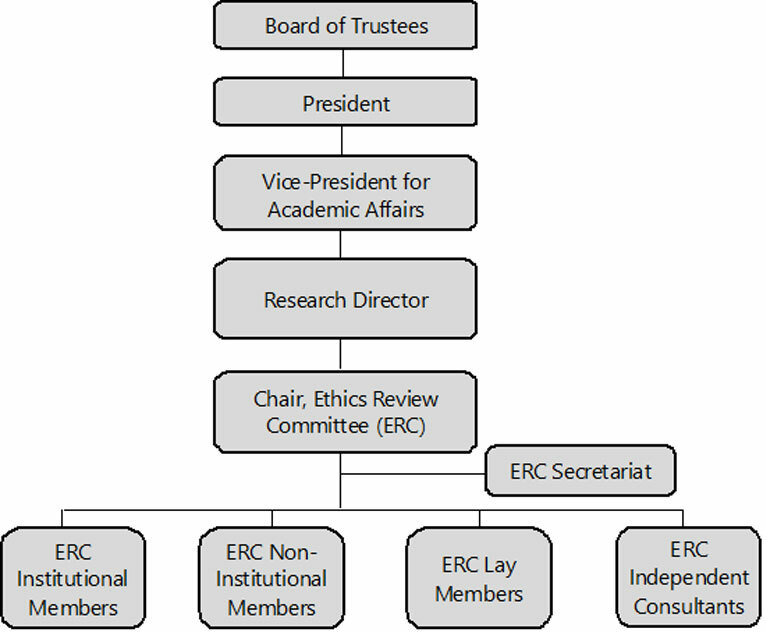 The VC-ERC is an independent body created by the Velez College, under the authorization of the College President, whose responsibility is to ensure the protection of the rights, safety and well-being of human participants involved in health related research that are submitted to the VC-ERC by members of the faculty, non-teaching personnel, students, employees of Velez College (VC) or Cebu (Velez) General Hospital (CVGH), and non-Velez College principal investigators (PIs). Protocols involving non-human living vertebrates are referred to an Institutional Animal Care and Use Committee (IACUC). In accordance with the applicable national / international regulations, the VC-ERC has the authority to approve, require modifications to, or disapprove research protocols and related documents as well as ensure compliance with its relevant procedures after approval. Velez College staff (i.e. faculty and non-teaching personnel) and students, done within the school premises. Cebu (Velez) General Hospital patients, done within the hospital premises. Protocols done by Velez College staff (i.e. faculty and non-teaching personnel) and students in areas outside the school and hospital premises, except researches undertaken by part time staff done outside the school or hospital.